The fallacy that perfectionism is helpful (or even necessary for success) persists because we still idealize perfectionism. We get the message from an early age (from our parents, schools, the media, our peers and social media, and from religious and other cultural beliefs) – that we should be able to do everything effortlessly, never make mistakes, and always be the best. Perfectionism isn’t just a desire to be the best. It means we set impossibly high standards for ourselves (and possibly for others) – that we can never reach. It means we criticize ourselves relentlessly when we make mistakes and see them as fatal flaws rather than a natural part of the learning process. Perfectionism means we never feel good enough because we base our self-worth on what we do, what we achieve, and what others think of us. We need to recognize that perfectionism is not helpful – it’s not making us more successful, confident, attractive, or happier. It’s adding unnecessary stress and pressure and ultimately making our lives harder -- not better. 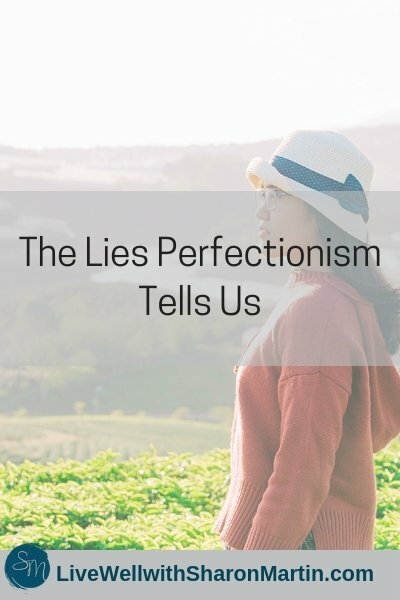 So, in order to stop chasing after perfection once and for all, and learn to accept ourselves, we have to face some ugly truths about perfectionism. 1) Perfectionism does not make you more successful. Perfectionism is not the same as excellence or a healthy striving to do your best. Perfectionism is an unrelenting standard that can never be met. It’s an intolerance for mistakes and a belief that our worth as people depends on our accomplishments and appearances. Perfectionism can be mentally paralyzing and tends to stifle creativity and out-of-the-box thinking. As perfectionists, we’re more interested in doing things “right” than innovating, learning, or taking chances. And we often end up burnt out and exhausted because we relentlessly push ourselves to accomplish more and don’t practice adequate self-care. There are, of course, successful perfectionists, but that doesn’t mean that perfectionism was the key to their success. Often that success comes at the expense of their mental and physical wellbeing. 2) Perfectionism does not make you more likable. We often think that being perfect will help us to be accepted and liked, or that perfectionism will protect us from rejection or abandonment. Instead, perfectionism creates emotional distance – not connection -- between us and others. True connection requires vulnerability and the ability to share our mistakes and imperfections. Most people don’t want a friend or partner who’s perfect. They want someone who’s authentic, who they can relate to because they’re flawed, too. Perfectionism can also erode relationships when we consistently prioritize work over our personal relationships or when we’re controlling, critical, and demand perfection from our loved ones. 3) Perfectionism costs you precious time. Some perfectionists spend inordinate amounts of time on day-to-day activities such as cleaning so that their house/car/desk are immaculate, redoing tasks until they’re perfect, or trying to attain a perfect body or appearance, not for health reasons, but because they fear looking old/unattractive/imperfect. Generally, these activities are motivated by fear and don’t truly align with our values. Perfectionists also waste time procrastinating. Our fears of failure and inadequacy can keep from starting or finishing anything that we’re not 100% sure we’ll excel at. Often, we miss opportunities entirely because we’re afraid to try and afraid of change. 4) Perfectionists frequently feel frustrated, unfulfilled, and inadequate. When we expect perfection, we’re never satisfied. We’re never happy with our performance or our appearance. As perfectionists, we can only see our imperfections -- all the ways we fell short, the things we didn’t do perfectly. We let our mistakes define us and we fail to see all that’s good (perhaps imperfect, but still good) in ourselves and others. As perfectionists, we equate our worth with our accomplishments, so we’re always demanding more of ourselves (and sometimes of others, as well). Even our best effort is never enough. Winning or accomplishing our goals isn’t enough either. We always think there’s more we could be – should be – doing. Sometimes we give up because the pressure to be perfect is too much. Other times we push ourselves harder. We rarely let ourselves rest or have fun. And if we do, we feel guilty about it. We need external validation to reassure us that we’re good enough because most of the time we doubt that we’re as good as everyone else. No matter how many awards, degrees, or promotions we get, we still have to prove ourselves by doing more. This is a tiring way to live. 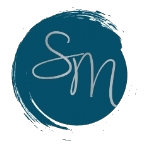 It magnifies our flaws and fails to recognize our strengths and inherent worth. 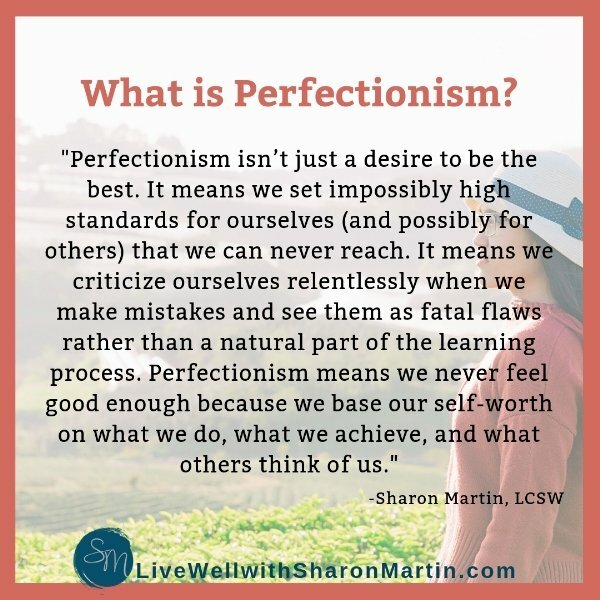 Perfectionism makes it impossible for us to accept ourselves and see that our value has nothing to do with what we achieve or how perfect we are. 5) Being perfect isn’t possible – or desirable. No one is perfect all the time. And I truly think that we’re questing after something that’s not only impossible but not even desirable. If you’re perfect, there’s no room for growth. There’s nothing left to learn. There’s nothing left to strive for. There are no more funny stories about how you burned the Thanksgiving turkey. Sure, there’d also be no more embarrassing moments like leaving a job interview and realizing you had ketchup on your chin or painful experiences like your house being foreclosed on. But those human experiences of failure, embarrassment, and heartache can’t always be avoided because some things are out of our control. And, as I mentioned earlier, our imperfections and failures connect us to others. The people we’re closest to are the ones that know our biggest mistakes, our deepest insecurities, and all our flaws, and they love us anyway. And there’s no reason that we can’t accept our imperfections and value them as important learning opportunities. Otherwise, we may as well be robots! 6) Perfectionist thoughts and behaviors can be changed. There is hope! You don’t have to be a slave to perfectionism forever. Over two decades as a therapist, I’ve found that using a combination of Cognitive Behavioral Therapy (CBT), self-compassion, and mindfulness practices are the most useful tools for overcoming perfectionism. 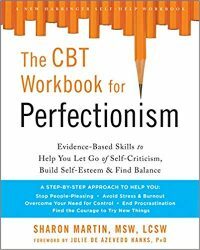 If you’re interested in using the exercises that I use with my clients, you can find them all in my book “The CBT Workbook for Perfectionism: Evidence-Based Skills to Help You Let Go of Self-Criticism, Build Self-Esteem, and Find Balance”. Of course, it does take consistent work to make any kind of meaningful change. However, overcoming perfectionism isn’t an all-or-nothing endeavor. Most people find that making some modest changes can bring big benefits to their health, happiness, and relationships. And decreasing the problematic aspects of your perfectionism doesn’t mean you have to give up the helpful aspects of perfectionism, such as being organized and attentive to details. Overcoming perfectionism is about dialing back the rigid, perfectionist thought patterns, learning to treat ourselves with grace and kindness, and balancing work with rest, play, and meaningful relationships. 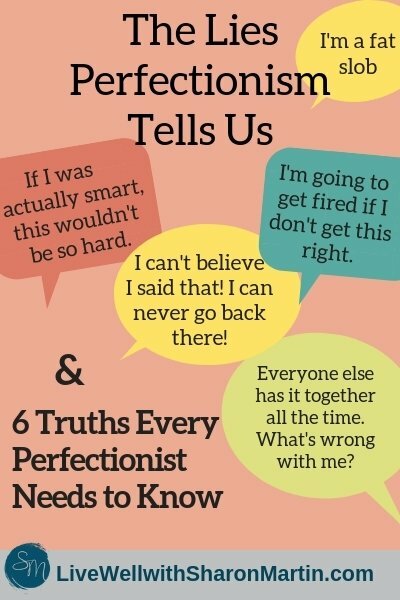 I hope that facing these six truths about perfectionism will help you recognize that you can be more successful, authentic, fulfilled, healthier, and accepting without perfectionism. *A comprehensive review of the research can be found in Perfectionism: A Relational Approach to Conceptualization, Assessment and Treatment by P. Hewitt, G. Flett, and S. Mikail, 2017, The Guilford Press.